Chinese Internet firm Sina is looking to increase the number of businesses that use its Sina Weibo microblogging service, according to comments from its CEO Charles Chao made at business forum in Taiwan yesterday. In spite of impending new measures coming into place next month, which are likely to reduce active users on its service, Chao says Sina is aiming to grow the number of business accounts. His target is to increase the number of companies using the service from 100,000 to one million this year, according to Penn Olson, which cites a Sina Tech report [Chinese]. “This [increased business activity] is a very important direction for this year”, Chao said, before he revealed that the service will more sharing media content — video and audio — than ever before. Sina has already joined forces with Tudou to allow users to more easily share clips from the video site, and it seems likely we will see other developments aimed at enriching the content there. It’s long been speculated that the company may follow rival Tencent Weibo and introduce an English language option, not to challenge Twitter, but allow overseas firms to reach out in China. Sina Weibo already has English-language mobile apps, and we suspect a website will come this year to bring overseas companies aboard. However, the elephant in the room — the deadline for the introduction of mandatory real names on microblog services — went unaddressed by Chao. Yet its impact could be devastating to Sina’s membership numbers, activity and, consequently, plan to engage businesses. Rules imposed by authorities, which require all users to verify their identity using official documentation, will come into place on March 16. With the date looming, significant issues have been found with the verification process. Many Chinese microblog users are reluctant to verify themselves, in spite of Sina’s efforts to incentivise it, as they are uneasy knowing that they will be directly accountable for their messages. Given the government’s track record — it ‘punished’ a woman for a retweet with a one year spell in a labour camp — their hesitancy is more than understandable. Equally, the albeit low proportion of foreign nationals who use the service are finding difficulties authenticating their ID with overseas documentation. 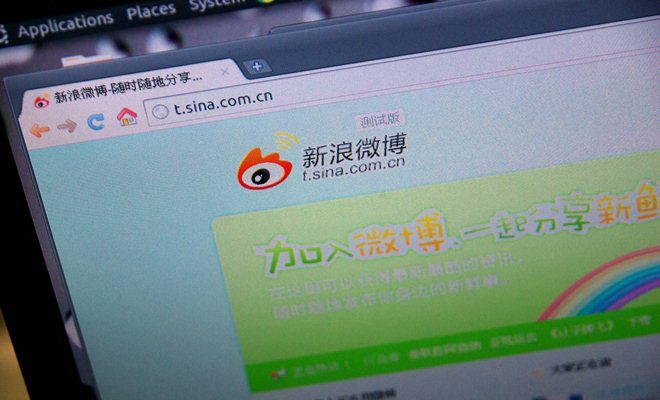 Short of contacting Sina directly, many are resigned to the fact that their time using Sina Weibo is coming to an end. According to figures, Sina Weibo has 250 million users, with Tencent Weibo’s member count 300 million. A significant number of these are thought to be spam users, which remains a big problem in China, but its reach is huge in the country. Any ambition Sina has of recruiting more businesses is likely to be impacted by the user numbers it sees once the new regulations are imposed. While the number of spam users will be cut, if the volume of messages — which hit a record 32,3120 per second on Chinese New Year — drops significantly, businesses may be less keen to embrace the service. But, as we’ve said before, this is China and anything is possible. We’ll keep you fully posted on how the real name verification process plays out and impacts the social media space in the country.